‘Tonight, about 40 percent of children in the western world will go to sleep in homes in which their fathers do not live. Before they reach the age of eighteen, more than half of our nation’s children are likely to spend at least a significant portion of their childhoods living apart from their fathers. Never before in this country have so many children been voluntarily abandoned by their fathers. Never before have so many children grown up without knowing what it means to have a father. These comments by David Blankenhorn highlight the terrible impact that father absence has on both individuals and society as a whole. Since the end of Second World War there has been increasing interest by governments and social commentators in the effects of the absent father on the development of those within the remaining family unit. As a result thousands of studies have since been conducted. These studies have repeatedly uncovered a staggering array of issues inflicted particularly on the children of father absent households. Interestingly it has been shown that the affects of emotionally unavailable fathers were almost identical to those where the father was physically absent. The affects covered everything from physical differences (i.e. the quickened development into and through puberty of children raised with no father present) through to many and varied social and physiological issues. The summary of issues listed below, in no way covers every aspect of father absence however it is still a powerful indictment to the current social epidemic. Whilst the list above outlines the devastating foundation that father absence sets it does not begin to address the subtle aspect of father absence. How do you measure a sense of abandonment and betrayal, how do you measure the feeling of not fitting in and of being different. Father absence in many ways steals our birthright; it takes from us our inherent and natural internal structures. 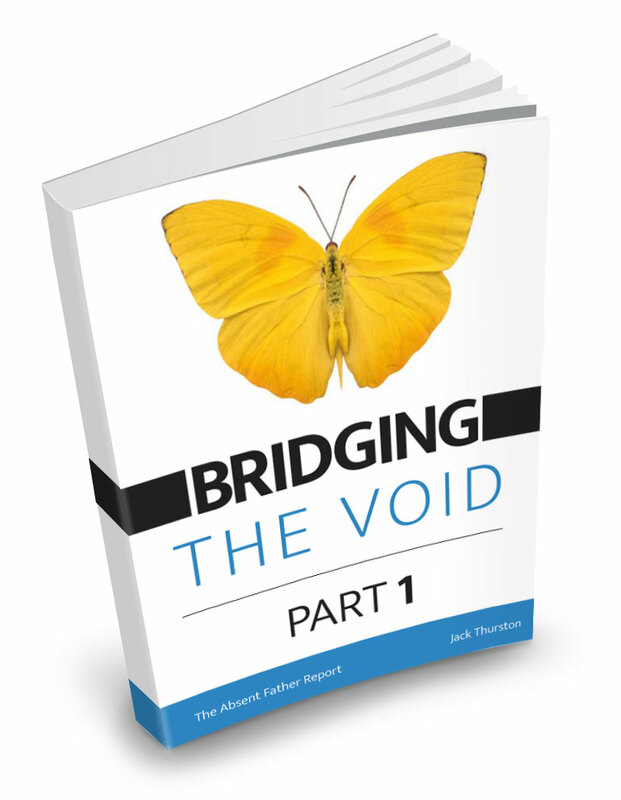 These are the frameworks that we rely on every day in every aspect of our lives, whether it be in our relationships, our level of happiness, our health, our behaviour, our prosperity or level of success. If these inherent frameworks are missing or not allowed to fully develop we really never have a chance to realise our full potential. 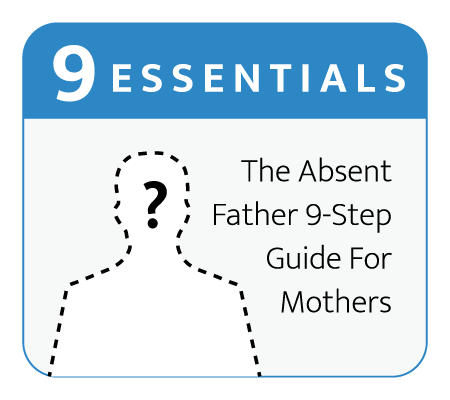 What Is An Absent Father And Why Does This Limit Your Success? Absent Fathers can occur in our lives through many forms. As is in the case of the effects of an Absent Father Environment the way in which fathers can be absent from their families can be very subtle vet still incredibly disruptive to the development of young children. We must remember that, when addressing both the ways in which fathers can be absent and the effects of this fatherly void, we are primarily dealing with a child based perception. What I mean by this is that as an adult we are far more attuned and capable of dealing with the many up’s and downs of life. We can, through our own life experiences, understand that other people (including our fathers) can make decisions in relation to the course of their lives without it having to be about us. As a child, psychologically, we are forced to deal with these issues and events, like the absence of our father, whilst still being totally egocentric and are thus unable to separate the course that others may take in life from ourselves. Thus to from our child perspective a father can be absent in many ways that might not at first seem reasonable from our adult perspective. Any and all of the examples list above can be equally devastation to a child and their development, in-fact in some cases the less obvious forms of absent father (i.e. where the father or significant male role model is physically present yet emotionally unavailable) can be incredibly harmful as to many, including the child there is little if any physical issue to recognize. Here the guilt, so universally, connected with the occurrence of the absent father from the child egocentric perspective can be intensified main because there is little obvious reason or cause. The underlying common thread to the occurrence of the absent father is the emotional presence; hence it in most cases is equally important that you felt that your father was absent.